Hi! I'm Jilly and I blog at Me and Jilly. My best friend Mia started our blog two years ago while she was all hopped up on pain medication after recovering from knee surgery. The next day, after she realized what she had done, she called me up to tell me we had started a blog! And the fun has been ongoing since that fateful August day in 2010.  I'm so excited to be guest posting here at Brooklyn Limestone. I think in my next life, I might want to live in Brooklyn, in Stefanie's Limestone! Isn't it gorgeous? The project I'm sharing today is actually one of the easiest I have ever done! I basically lucked into it by stalking Craigslist for a good long while, but my persistence paid off. 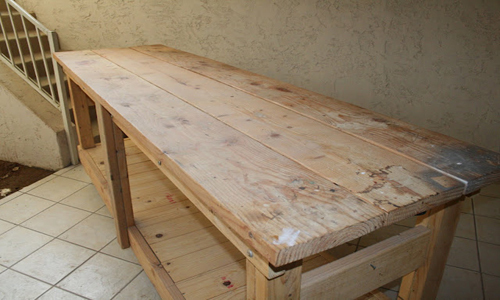 I was on the hunt for a big and sturdy, but slightly beat up garage workbench. Just before me and my husband had to build our own. (which likely would have cost me my marriage) I happened upon the very object of my affection. For $50. "I'll take it!!" was my quick email to Bambi. "Only if you can get here before the others who want it as well" was what I got back from her. 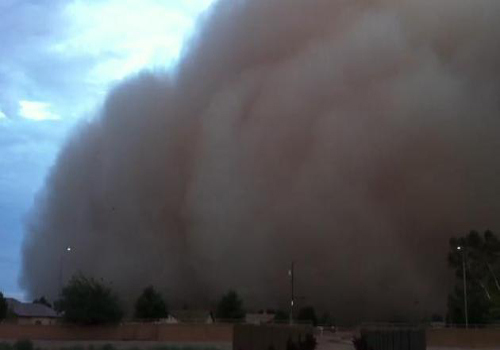 Since Mia lived only 10 minutes away from the garage where my treasure was being housed, I sent her into the eye of the worst haboob Arizona has ever experienced. Yes, that's a real word that only we who live in the desert are privy to. And yes, this is a real picture from that very day. After she picked it up, she did have to pull off the road for 30 minutes due to zero visibility, but she made it out alive and delivered it to me the next day. And that's just ONE of the reasons why I love that girl. I gave it a good scrubbing, then brushed on a coat of Minwax Gelstain in Chestnut. After it was thoroughly dry (which was 10 minutes in the 117 degree weather), I finished it with a coat of clear wax. I absolutely love the way the wax dried into a soft luster with a hard finish. Total time spent from picking it up in Bambi's garage, to rolling it into it's final resting place in my basement family room was 3 hours. Why can't all my projects be this easy? I hope this trash to treasure story will inspire you to search Craigslist, yard sales, and/or your neighbor's garage for something waiting for you to give it a little love! I'd love you to come over and say hi at Me and Jilly. There are so many stories, tutorials, recipes and ideas on our blog, and we love to have visitors. See you soon! Wow! Who would have thought a work bench could look so great? Great job transforming and styling it. I absolutely LOVE this! Great idea. Also, I love the result so much! Looks great. What a great transformation! I will be on the look out for some trash to hopefully turn it into treasure like this! Loving your work here! You can't beat a good DIY transformation project and the finished product looks excellent! Wow, this is an awesome makeover, Jilly! 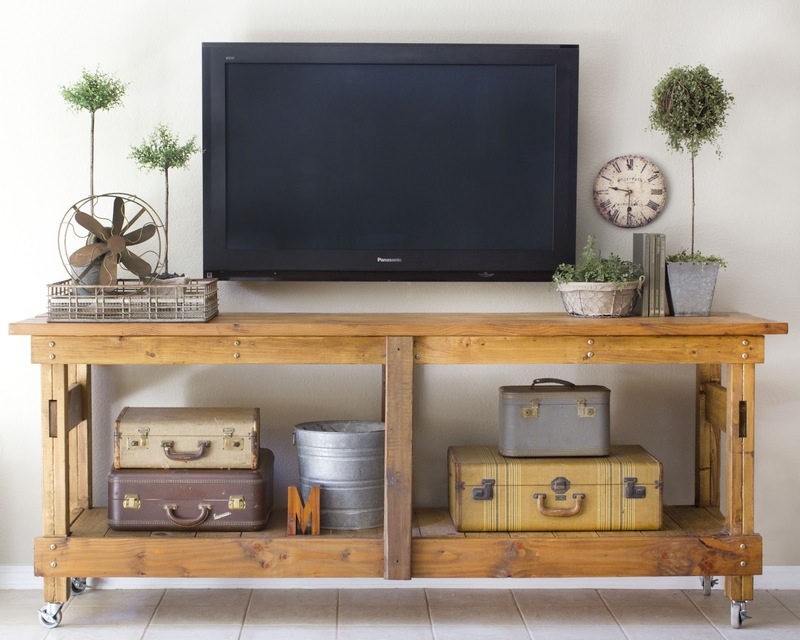 I love that you used the garage bench for a media stand/console-ish table. Totally my style. I might have to start stalking Craigslist. Thanks! 50$? What a steal! This work bench looks beautiful! Stephanie this is so beautiful!!! I am so inspired! hi John - as you can read from the intro, this is a guest post so you'd have to contact the original maker to get the details. The link to their blog is included in the post above.